Sometimes you just want to get away from the madness of London and contemplate in peace for a while. 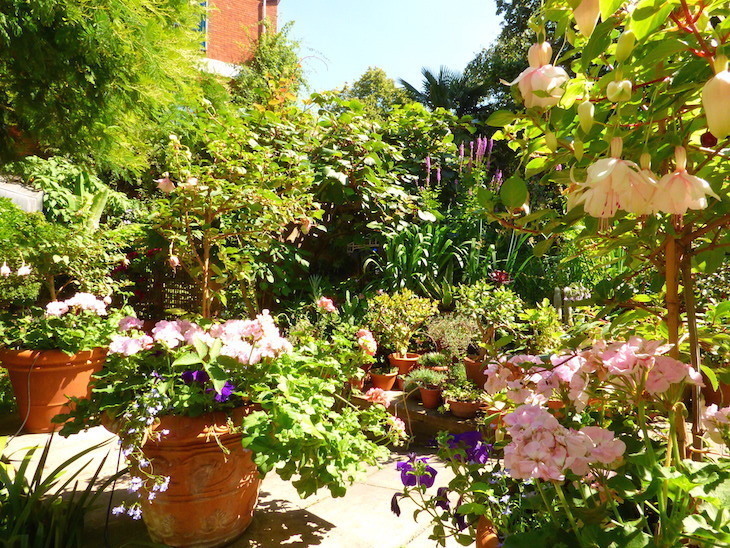 That's where London's secret gardens come in. They're green spaces, but often surprisingly close to the busiest parts of the city — ideal for grabbing a few minutes of respite before getting back to it. We make no secret of our love for The Rookery. Anyone who takes the time to climb the ambling hill of Streatham Common is rewarded with this lawned haven. Benches aplenty, pagodas and a trickling fountain are all present and correct. A mini waterfall completes the picture. 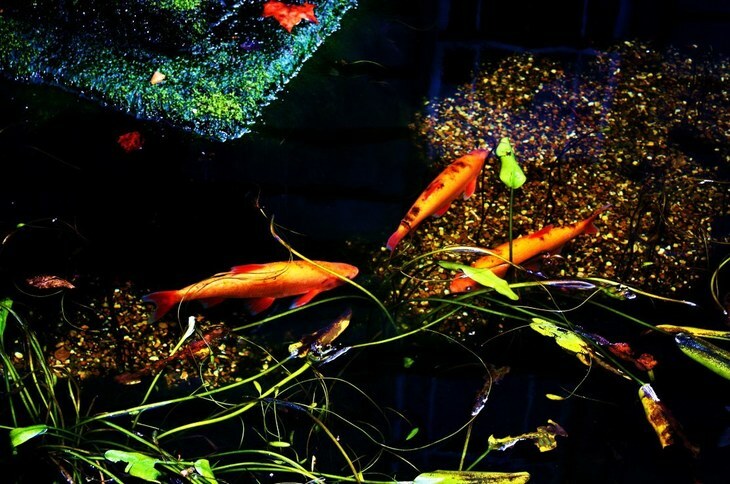 The water features are all the more fitting due to the area's past as a popular spa town. Kiwis are being grown in London. Or at least they are in the summer, at the Museum Of Brands' café garden. It's worth visiting even if you're not going to the museum — the brownies are a bonus. Packs a lot into a small space, this place. 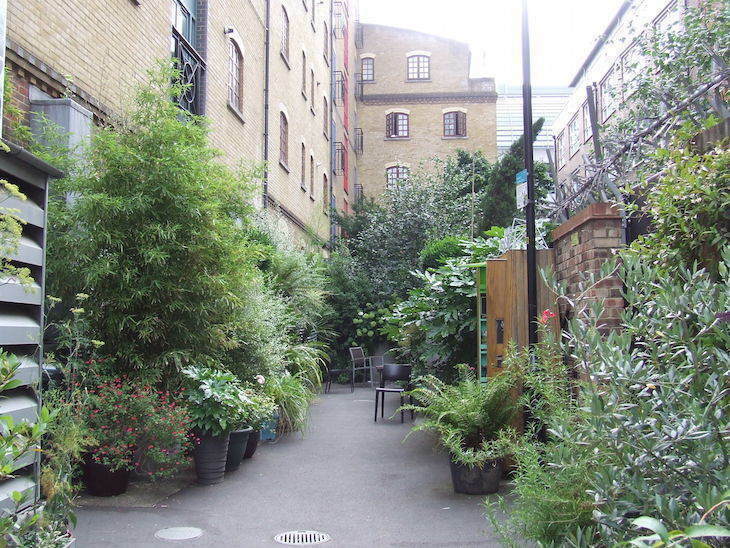 While we're on the subject of garden cafés, check out the café at the Charles Dickens Museum in Bloomsbury. 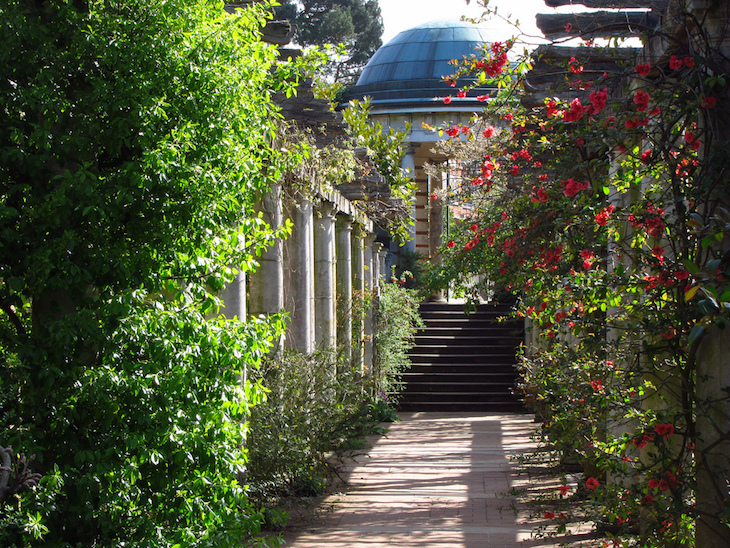 For more wonderful museum gardens in London, click here. 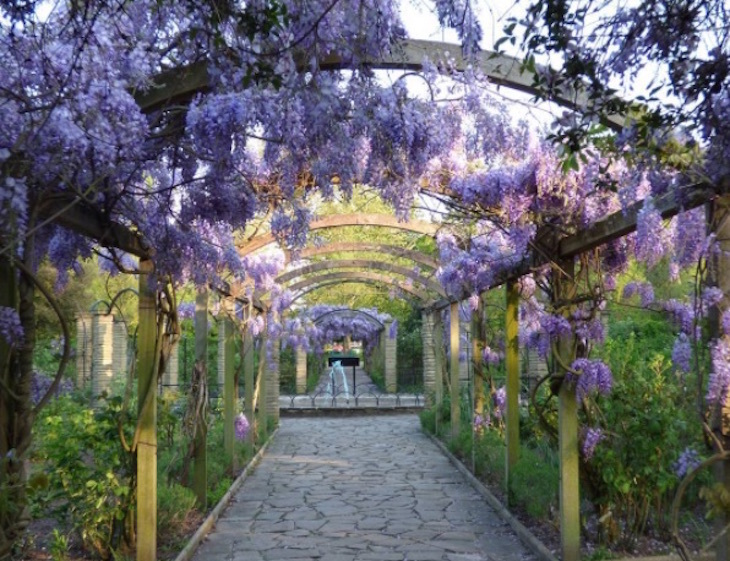 A park within a park on a common, the Sexby Garden on Peckham Common is at its best when the wisteria is in bloom. The water in the fountain is an alarming shade of blue, but if you can overlook that, it's a romantic corner of south east London. Tucked away on a roof off the western corner of Russell Square is a small, but perfectly formed, Japanese garden (above the Brunei Gallery at SOAS to be precise). 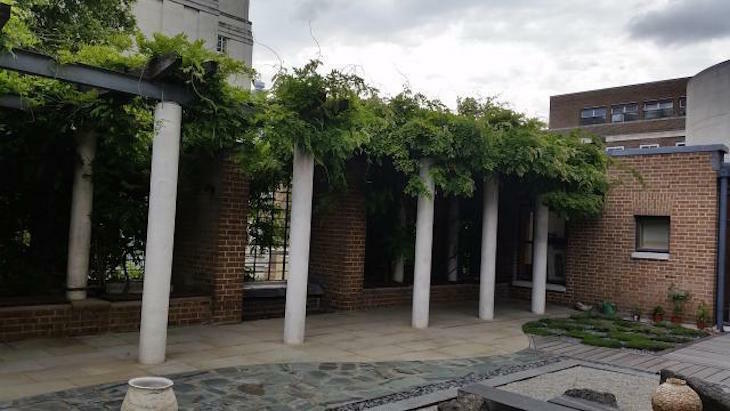 It's enclosed on all sides (though you can peek at — and be peeked at in return — by people in an office on one side), with a little raked gravel section and wisteria hanging above benches in spring. Yep, we like wisteria. This little slice of greenery is not what you'd expect to find between Covent Garden and Tottenham Court Road, but there it is — bristling with roses, daisies, banana palms — and all manner of wildlife (it's great for dragonflies in summer). It receives no council funding so relies on public donations to stay open. Keep an eye out for frogs too. 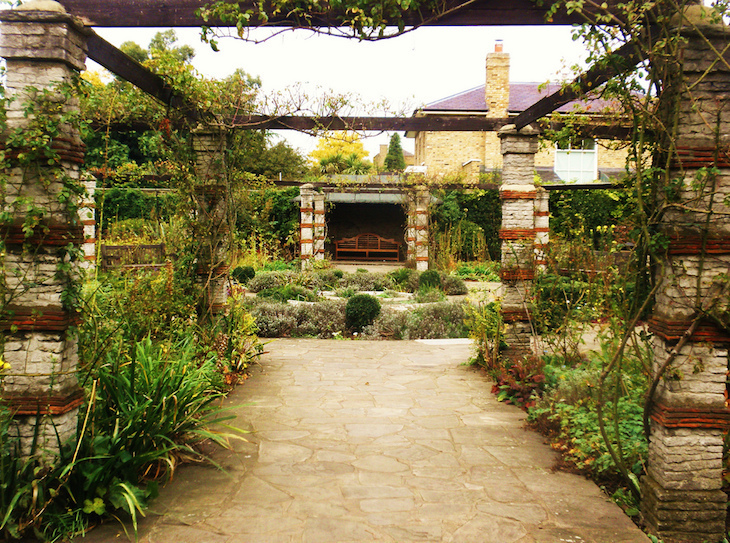 Hammersmith has its own secret spot in the form of Ravenscourt Park Walled Garden, in the north-east of the park. 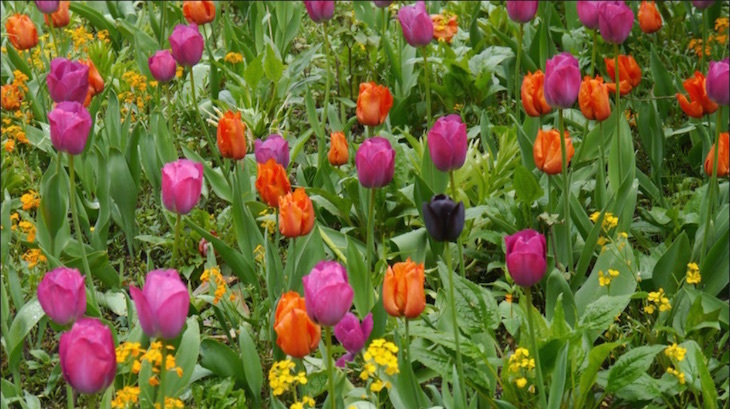 It's run by volunteers, so if you're looking to get hands-on with a green-fingered project, this may be one for you. 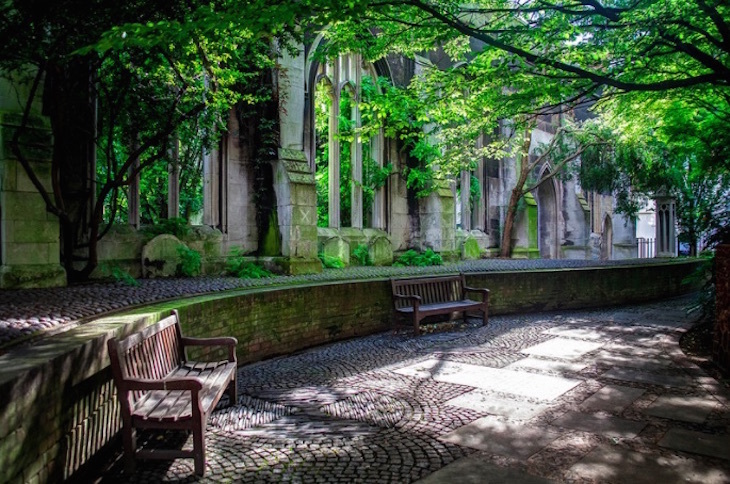 Not far from the river between Monument and the Tower of London is St Dunstan in the East, a bombed-out church in the City, now with garden benches. It can get busy with lunching City workers, but the rest of the time, it feels impressively secluded. 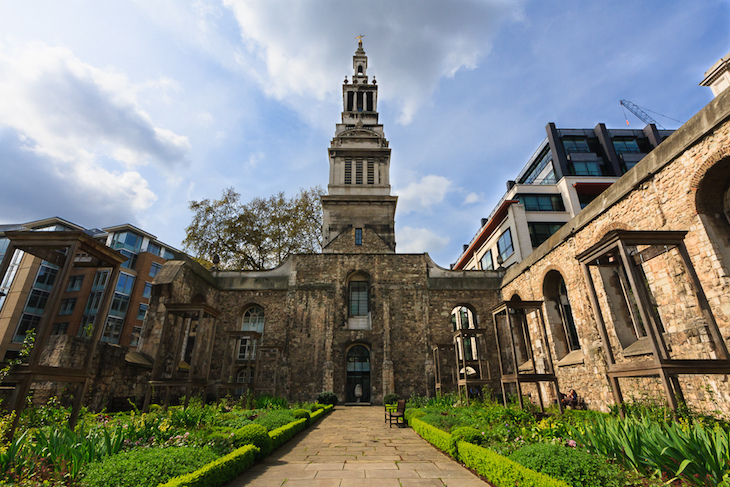 Not far from Postman's Park is Christchurch Greyfriars Church Garden, overshadowed by the church tower. The church itself was destroyed in world war two, but wooden towers representing the pillars which once held up the roof are now adorned with climbing roses and clematis. 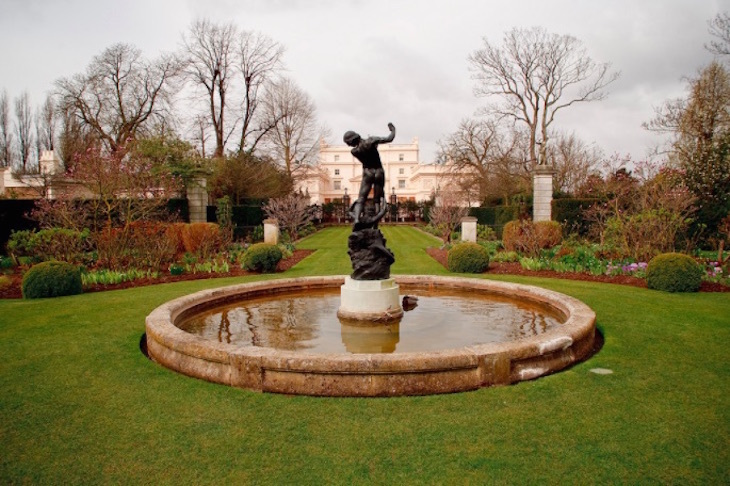 We found this one once, completely by accident, then struggled to find it again for years — most Regent's Park visitors head for Queen Mary's Rose Gardens instead. 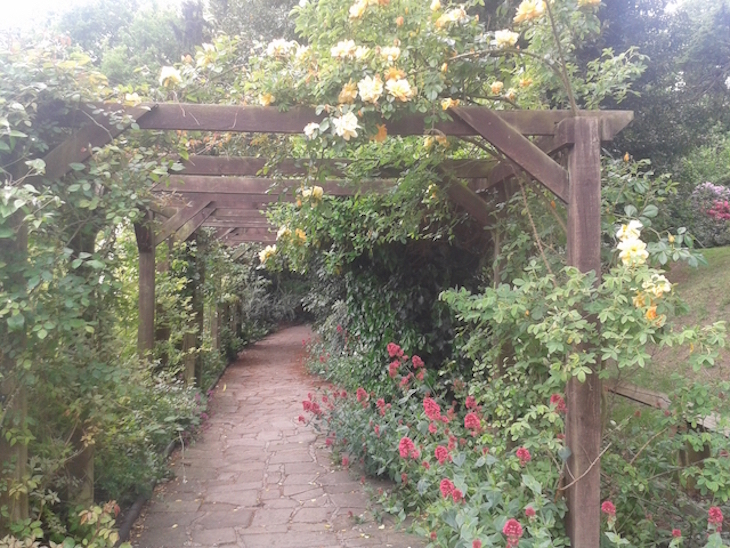 But when you do, persist and find St John's Lodges Gardens. The house (more of a posh 19th century villa really) was built in 1818. The gardens were designed as a series of compartments ornamented with sculpture and stonework, designed to be 'fit for meditation' by Robert Weir Shultz in 1889. Hopefully you'll find peace here. One for the boat lovers among you; Rembrandt Gardens overlook Little Venice in Paddington, where Regent's Canal meets Grand Union Canal. Seats overlook the water, among lawns and tulip borders (a nod, we assume to the Dutch artist after which this place is named). If you ever need somewhere quiet to sit down between the craziness of London Bridge station and Tooley Street, slip into Gibbon's Rent. The Shard towering over you won't allow you to forget that you're in central London, but provided you don't visit at a lunchtime in the summer, you should be able to bag yourself a seat... and even a book from the mini lending library. We've never been to this one, but heck are we intrigued by it. 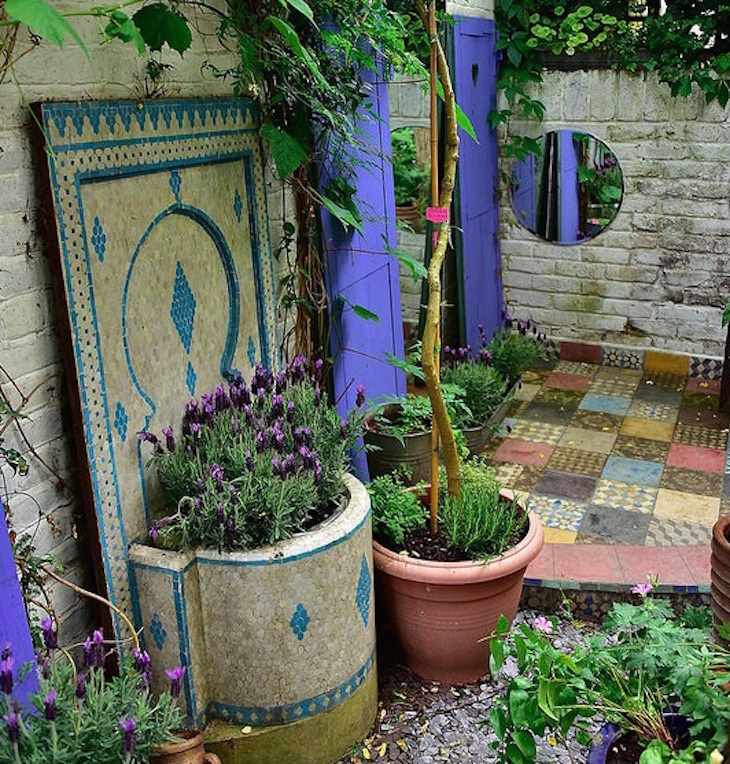 Behind the Belgravia branch of Rococo chocolatier is a Moroccan-style garden, cleverly named Marococo, with potted plants, Moroccan tiles, and a fountain. Lovely. Another favourite lunch spot for nearby office workers, Postman's Park is home to the Watts Memorial which celebrates 'heroism in every-day life'. It's also littered with benches for those looking for somewhere to tuck into their sarnies, as well as paved paths and flower beds. 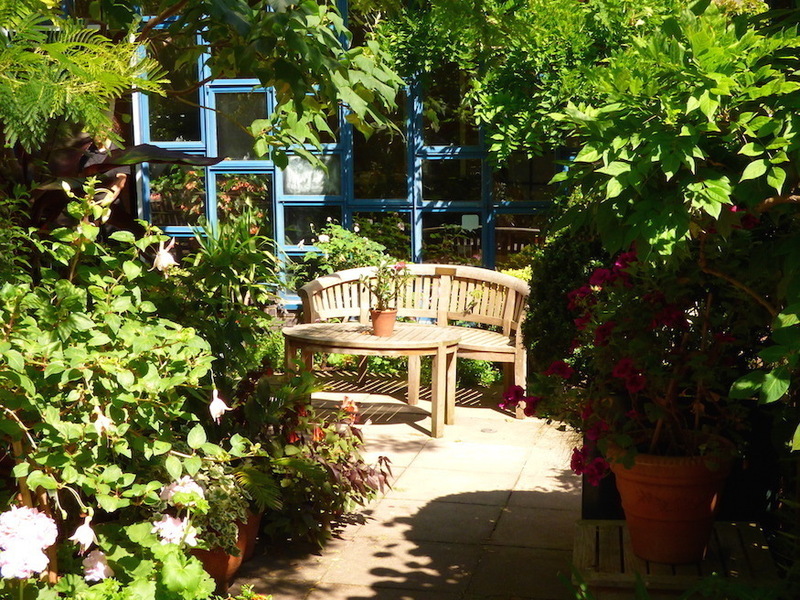 It's also probably the least secret gardens on our list. This one's pretty well known too, but remains one of our favourite outdoor spots in London, situated on the western side of Hampstead Heath (sensible shoes are a must). With rose-covered trellises, it's one for the romantic at heart — you can even get married here. 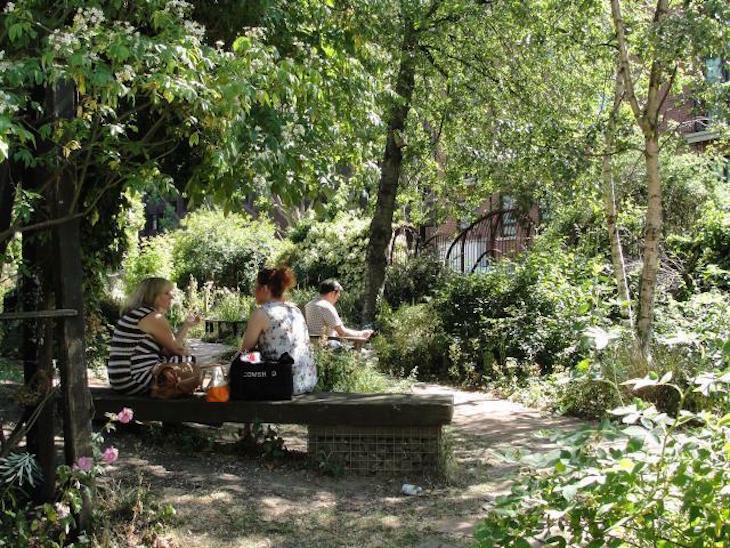 For more peaceful outdoor spots in London, take a look at our London's little gardens series, or why not visit one of London's best picnic spots?